ExpressVPN, based in offshore British Virgin Islands, is considered as the leading and the best VPN service provider in industry. With leading edge features and great performance to ensure military grade privacy and anonymous surfing ExpressVPN has been helping Internet users browse safely and privately since 2009 while runing a premium VPN network optimized for high speed and reliability. They currently operate over 1,000 secure servers in 145 locations across 94 countries to help their customers bypass censorship, geo-blocked websites and content throughout the globe with professional privacy. ExpressVPN has been running its journey with a mission to making it easier for VPN users to surf the Internet with top notch encrypted privacy, security and freedom. They are also active supporters of various organizations fighting to protect right of Internet privacy worldwide. By purchasing their VPN service you can enjoy unlimited bandwidth, probably the fastest speed and your choice of servers in 94 countries around the world. ExpressVPN has built one of the best networks and the easiest VPN client apps in industry. Hundreds and thousands of people use ExpressVPN everyday, making them one of the world’s leading and best VPN service providers. In this ExpressVPN review, I’ll introduce you with its pricing plan first. ExpressVPN offers three different subscription plans which vary by subscription length: 1 month plan, 6 months plan and 12 month plan. ExpressVPN accepts these following payment methods to get their VPN services: VISA/Master card, American Express, Discover, Paypal, Bitcoin, WebMoney, Alipay, UnionPay, Yandex Money, Giropay, iDEAL, SOFORT, Maestro, Carte Bleue, Interac Online, MINT, FanaPay, and OneCard. ExpressVPN develops sleek, cutting-edge apps for Windows, Mac, iOS, Android, Linux, Routers, and Kindle, as well as manual configurations for Linux, Chromebook, wireless routers (Sabai, DD-WRT, Asus, or Tomato), and streaming media consoles (Apple TV, PlayStation 3, PlayStation 4, or Xbox One). You can secure your devices with ExpressVPN apps in seconds. Their apps are fast, easy-to-use and stable with time-saving features like one-click connect, one-tap server selection etc. ExpressVPN has apps-setup-guides for all of user’s favorite platforms. In ExpressVPN, a single subscription can be used simultaneously on three devices, regardless of platform (including virtual machines). You may install ExpressVPN on any number of devices, but only three devices can be connected at any one time. If you would like to use your subscription on more than three devices at any one time, you will need to purchase an additional license. Alternatively, you can connect any number of devices to ExpressVPN by using a VPN router. There are no bandwidth limits, so no matter what device you use, you never have to keep your eye on a meter. ExpressVPN’s standard package gives you unmetered access for up to 3 devices simultaneously. So it’s easy and affordable to protect your multiple networks by setting up your laptop and smart phone to access ExpressVPN at the same time, or use your tablet and game console together. You can even set up your home or office router to work with ExpressVPN. That way, every device connected to your router is also connected to ExpressVPN, which is a great way for businesses and families to protect all their connected gear with a single VPN account. For a competent VPN, ExpressVPN offers a huge number of choice in its server locations. They have self managed 1000+ servers in 145 location across 94 countries worldwide. With unlimited speeds and unlimited server switches, you can connect from anywhere in the world. And they’re incredibly reliable, with average uptime of 99.9%. So there’s no need to worry about your VPN not being available. They’re committed to be solid as a rock. ExpressVPN’s constantly optimizing network offers 1000+ VPN servers with blazing speeds. Enjoy HD video and the download rates you expect. ExpressVPN users can choose which data to send through VPN and which to send through their ISP to enjoy the best of both worlds. It is a fantastic innovation for VPN users. To protect yourself, only handle sensitive data or downloads over VPN-protected connections. Check which of your devices or applications are routed through the VPN and use split tunneling to select which of your connections gets encrypted. You can very much enjoy this option. Just open VPN connection on one browser for anonymous surfing and at the sometime also open another browser to run your normal browsing activities. You can toggle VPN protection for every device connected to the ExpressVPN App for Routers ON or OFF. Devices with VPN protection ON will enjoy ExpressVPN’s best-in-class 256-bit AES encryption and have access to over 1000 server in 145 locations across 94 countries worldwide. OFF will connect directly to the internet and retain access to network devices. When you browse the web without a VPN, your identity is exposed and interested 3rd parties can track your location and use price discrimination against you. They can even share your data with the government and annoying advertisers. And, as you’ve seen in the news, they keep losing your data to hackers. SSL stands for ‘Secure Sockets Layer’ which is a security technology that establishes an encrypted link between a web server and a browser, or a mail server and a mail client (e.g., Outlook). SSL is an industry standard secure technology and is used by millions of websites in the protection of their online transactions with their customers. Normally, data sent between browsers and web servers is sent in plain text—leaving you vulnerable to eavesdropping. If an attacker is able to intercept all data being sent between a browser and a web server, they can see and use that information. But SSL ensures that all data especially sensitive and confidential information such as credit card numbers, social security numbers, and login credentials transmitted between the web server and browsers remain secure, private and integral. ExpressVPN’s entire website is SSL-secured. So, none can hack their website and steal your data or information to recognize you. Sites secured with SSL display a padlock in the browsers URL and possibly a green address bar if secured by an EV Certificate. I am very delighted to say that ExpressVPN added a .onion version (http://expressobutiolem.onion) of its main website www.expressvpn.com which is a Tor Hidden Services site. That means this .onion version website can be accessed via the Tor Browser only and it is almost impossible to censor too by any country. This is really great news for people living in censored countries including China, Iran, North Korea, Saudi Arabia, Ethiopia, Azerbaijan, Vietnam, Myanmar, Cuba etc. ExpressVPN uses AES (Advanced Encryption Standard) with 256-bit keys — also known as AES-256. It’s the same encryption standard adopted by the U.S. government and used by security experts worldwide to protect classified information. 256-bit keys means 2256 or 1.1 x 1077 possible combinations. That’s 115,792,089,237,316,195,423,570,985,008,687,907,853,269,984,665,640,560,000,000,000,000,000,000,000,000 combinations! A brute-force attack on a 256-bit key-space is simply infeasible, even if all the world’s most powerful supercomputers ran for as long as the universe has existed so far, billions and billions of times over. In this ExpressVPN review, I’ll depict an overview of the security and privacy level of ExpressVPN client software in detail. For ensuring utmost online privacy and security in any situation, ExpressVPN offers a variety of VPN protocols so that you can set your preferred level of encryption, speed, and privacy protection between your computer and the VPN server location you connect to. When you use their VPN, all in-and-outgoing connections between your computer and their VPN server are anonymized with military grade privacy and no third-party can see your real IP and DNS address . If your ISP has been throttling your bandwidth and ruining movie night, your connection speed might even get a boost when you use ExpressVPN’s fast VPN protocol. The Protocols are: OpenVPN (TCP & UDP), L2TP/IPsec, SSTP and PPTP. ExpressVPN automatically chooses the best protocol option based on your network, but you also have the option of choosing between options manually. When you use the ExpressVPN app, you can easily switch between the protocols, although it’s recommended that you stick with the default protocol (the open-source OpenVPN), or let the app automatically select the settings most optimal for your speed and security. When connecting through a third-party app such as Tunnelblick for Mac OS X or Network Manager or Terminal on Linux, you also have a variety of options for encryption with OpenVPN. Well…I performed multiple tests using different protocols and servers offered by ExpressVPN at different IP tracker websites to see with my own eyes about how much capable ExpressVPN is of hiding my real IP assigned to my local ISP. I am highly impressed that I found all of them supremely OK. I, for example, only show below here the image of the result got at renowned IP tracker website www.ip-tracker.org where I used OpenVPN protocol. The image shows that their client software works perfectly in hiding my local IP address, as my IP is not visible here. You can only see a Hong Kong IP Address 104.207.83.41 perfectly altered by ExpressVPN. You should know that your Internet Service Provider (ISP) is able to read and monitor what you do on the internet by storing file-logs and records in their servers about your whole internet activities. 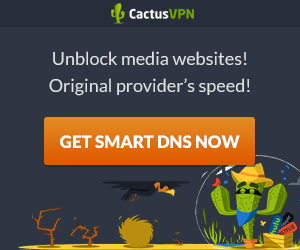 When connected to a VPN, a user automatically connects with VPN’s DNS server instead of ISP’s DNS. This way, the ISP doesn’t know which domain you are accessing or what website you are visiting. But, in rare cases it can happen that your system will revert back to your ISP’s DNS server, exposing your online activities to your ISP. So ‘DNS leak protection’ feature has been invented by VPN providers to mask your local ISP’s eye to let them not see and record your internet activity at all. I also performed DNS -Leak tests at different DNS-Leak-Tracing websites. And I am very delighted to report that ‘DNS leaks’ were never detected during my tests. I show below here, for example, 3 images from my test results performed at hidester.com/dns-leak-test/ , www.perfect-privacy.com/dns-leaktest and www.dnsleaktest.com . You see the images showed the common result of ‘No DNS Leak’, as you only see Hong Hong IP address and DNS information managed by ExpressVPN; not the DNSs assigned to my local ISP. Kill-switch is an innovative feature to ensure data privacy and security of all users by disabling all internet activities when the VPN disconnects. To ensure complete protection, VPNExpress added this ‘Kill Switch’ feature in their VPN software that disconnects all your internet activities if the VPN connection drops. It means when kill-switch is enabled and the connection interrupts, the client software automatically blocks all outgoing network connections so that your real IP is protected from being exposed. So, does ExpressVPN client software have the capability to protect your local IP address from being leaked through WebRTC? Note that if VPN connection was detected (as detected when I used PPTP protocol ), then it would say – ‘You are connected via generic tunnel or VPN and have made …. hops. Your connection type (generic tunnel or VPN) is rather uncommon for the average internet surfer, and could suggest proxy/VPN use’. From these above performance results you must agree that Express VPN is one of the best VPN service for anonymous surfing online in industry. ExpressVPN has launched browser extensions for Chrome, Firefox and Safari for its premium customers with ‘No additional charge’. The Extension has been designed keeping the novice-user in mind. So, it becomes easy to use, with No complications. ExpressVPN is seriously committed to client’s privacy. To ensure their users’ privacy they accepts Bitcoin too from their users to pay for their services. So, you can pay anonymously using only your email address. As privacy-focused company, ExpressVPN is also one of the best No Log vpn service providers; meaning they neither store user’s connection-logs (real IP address, time-stamps during connecting or disconnecting attempt) nor activity-logs whatsoever. They neither can relate any internet activity with any specific user account nor can they match any specific user’s identity with any Internet activity. # Your browsing history. ExpressVPN does not see or record which websites you visit. # Your traffic data. ExpressVPN does not monitor or log the destination of your web traffic or the time or duration of web sessions. # Your DNS queries. ExpressVPN runs its own private, zero-knowledge DNS (that does not log queries) on every VPN server for extra privacy and anonymity. 1. Which ExpressVPN user(s) accessed the following website or service? 2. Which websites did user X access? From the above statements, we come to know that ExpressVPN does not keep any identifiable logs of any user. So, ExpressVPN is one of the best logless VPN providers in industry. Personal VPN: A personal VPN is designed to protect the privacy and security of Internet users like you. You can browse the web anonymously. Your traffic is protected from spies and cybercriminals. And you can access censored content no matter where you are in the world. Corporate VPNs for business use: Businesses use corporate VPNs to give employees remote access to the company network. The technology is similar to a personal VPN – it creates a secure tunnel between the user and the server. All data shared between them is encrypted. But a corporate VPN is more expensive and harder to set up than their personal VPN. And unlike ExpressVPN, it won’t give you easy access to our network of servers spanning 87 countries! ExpressVPN ensures if you’re not 100% satisfied with the speed, security, and convenience of VPN services, you are most welcome to contact them to get a full refund within 30 days-no hassle, no stress. Your original payment method will be credited with the full order amount ASAP. But note that ExpressVPN’s this guarantee will last for exactly 30 days. You might have noticed that most “free trial” programs offered in some VPN providers are with some limited functionality generally for only one device. But on the other hand, this guarantee of ExpressVPN lets you use the full-featured version for all your devices, with unlimited bandwidth, 24/7 customer support, and 1000 secure VPN server locations to choose from. Also note that in case of free trial, your payment method will still be charged at time of purchase, but with the option to get a 100% risk-free full refund within 30 days. ExpressVPN is a famous VPN service provider for their 24/7/365 customer support including live chat. Their world-class technical support team is always at your service. They offer round-the-clock customer support by live chat and email. You can also get instant help from a knowledgeable support agent when you use their live chat feature. In this ExpressVPN review, I must say ExpressVPN is one of the Most Secure VPN providers with outstanding performance. I highly recommend this VPN provider for those users who want to use a VPN service that perfectly ensures military grade encrypted privacy of their virtual identity, while surfing online, by hiding local IPs and geo-locations from unauthorized inspection of any third party, or to bypass any country’s Internet Censorship & Content Surveillance, as well as to access any Geo-Blocked Website, or to watch or download any legal file or video anonymously with faster connection speed, uptime and profound privacy. Also ExpressVPN is under British Virgin Islands which has no mandatory data retention laws, and ExpressVPN does not store any such user-identifiable logs that might enable someone to match internet activity back to any specific user’s account with ExpressVPN. In this perspective, ExpressVPN is definitely one of the best VPN service providers in industry.